Williams College is celebrating the life and legacy of one its most distinguished faculty members. In part one of a two-part series, the school Tuesday night hosted a panel discussion in honor of the late historian and political scientist James MacGregor Burns. Joseph Ellis is a visiting professor of leadership studies at Williams College. He was joined by Sidney Milkis and Bruce Miroff, both political science professors, for a discussion on American politics in honor of James MacGregor Burns. A 1939 Williams graduate, Burns would teach at his alma mater and write more than 20 books on politics, history and leadership. He is best known for his 1971 national Book Award and Pulitzer Prize-winning biography of FDR, Roosevelt: The Soldier of Freedom. Miroff visited Burns two weeks before his death July 15 at the age of 95. 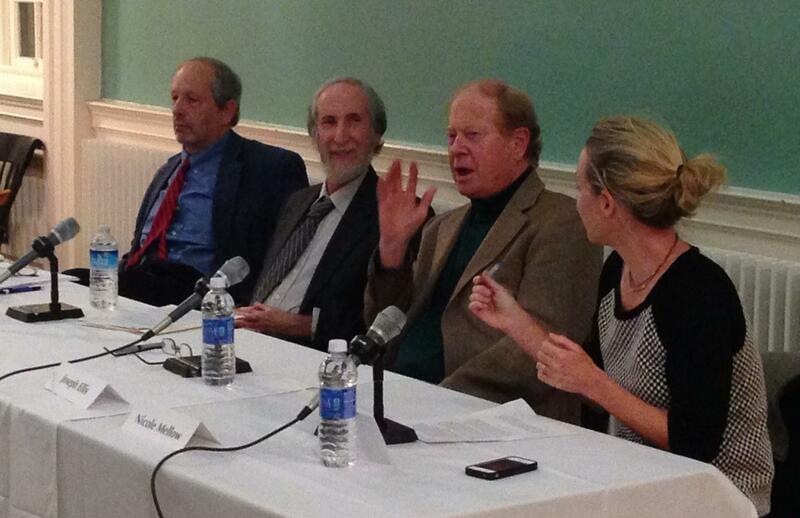 From left to right: Panelists Sidney Milkis, Bruce Miroff and Joseph Ellis discussed the state of American politics and the work of James MacGregor Burns at Williams College Tuesday. Nicole Mellow, seated at the right, moderated the talk. 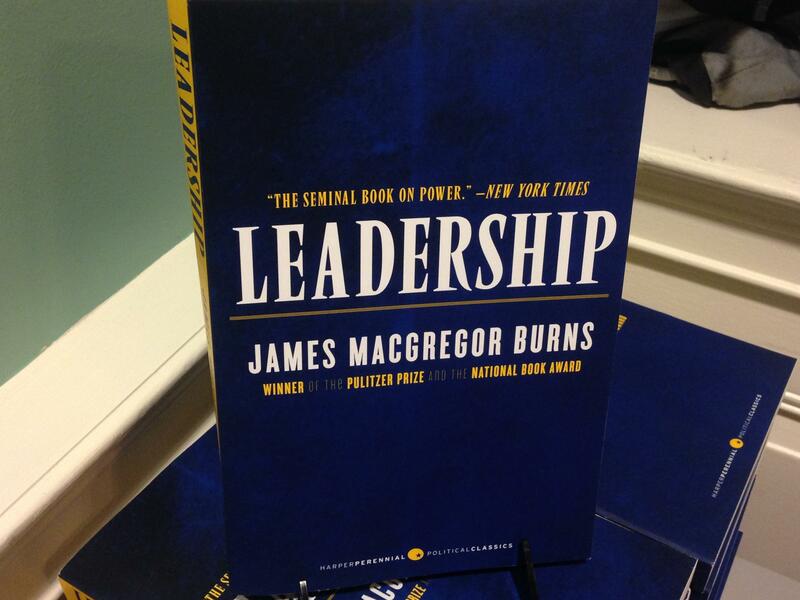 The three scholars talked about Burns’ idea of “transformational leadership,” a term he coined, and the barriers that stand in a president’s way of attaining it. The barricades discussed included checks and balances, staggered elections — which recently have swung power between the major parties every two years — and money’s influence in the political process. Here’s Milkis. Ellis says if Burns was part of the talk, he would call for a second Constitutional Convention to generate serious, radical conversation about changes to an outdated system that was developed and worked in the 18th century, but no longer does. “If you’re really a leader, you don’t want to be president of the United States,” Ellis said. “You want to be the head of a movement. You want to be Martin Luther King [Jr.]. You don’t want to be Lyndon Johnson. “You want to be Frederick Douglass, not Abraham Lincoln?” Milkis chimed in. Miroff echoed Burns’ argument that progressive leaders do not go at change alone. In the audience was Susan Dunn, the partner of the late Burns. A former Williams professor herself, she and Burns wrote two books together. Burns earned a Bronze Star as an Army combat historian in World War II’s Pacific Theater. Part two of the series will focus on Vladimir Putin and modern political leadership. It’s set for January 22. 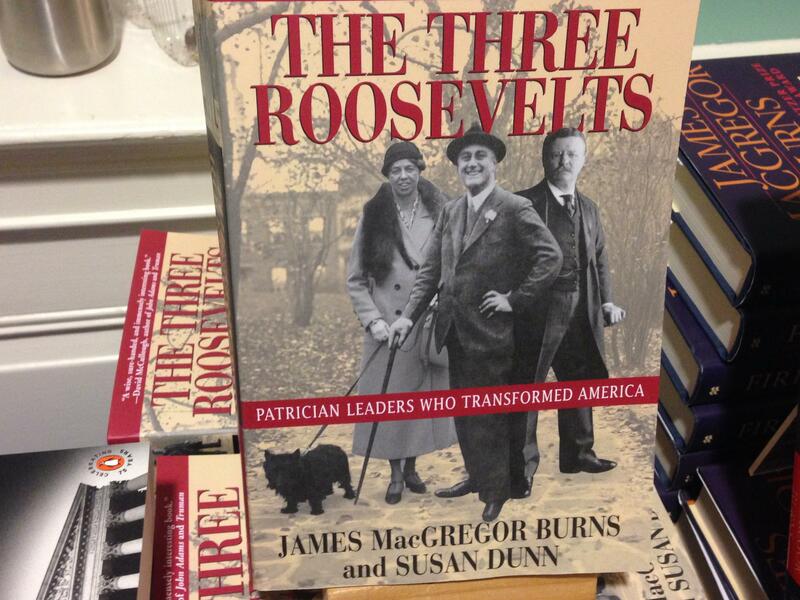 Historian and political scientist James MacGregor Burns has died at the age of 95. With Halloween creeping closer on Friday, a Williams College professor and author is giving a very timely, yet eyebrow-raising talk at Berkshire Community College tomorrow. Colin Adams is a mathematics professor, humor columnist for the Mathematical Intelligencer and author whose new book is titled Zombies & Calculus. Adams spoke with WAMC’s Berkshire Bureau Chief Jim Levulis to explain how the characters in the novel use math to battle zombies. Williams College will dedicate its renovated athletic complex Saturday with a slate of games, a community-wide tailgate and the return of longtime coaches. One of four remaining copies of the original Magna Carta is on display at The Clark Art Institute in Williamstown, Massachusetts, surrounded by influential documents in American history. A Williams College professor has been awarded a $75,000 grant to continue studying coastal impacts in Western Europe caused by storms.